Walking can be another wonderful opportunity to be in awareness. Living in the Pacific Northwest, I accept and love the rain (maybe not everyday). This morning, as I headed out for my early walk, the weather became a downpour. This was not going to stop me. I grabbed my newest weather arsenal, a very large umbrella and my adventure started. 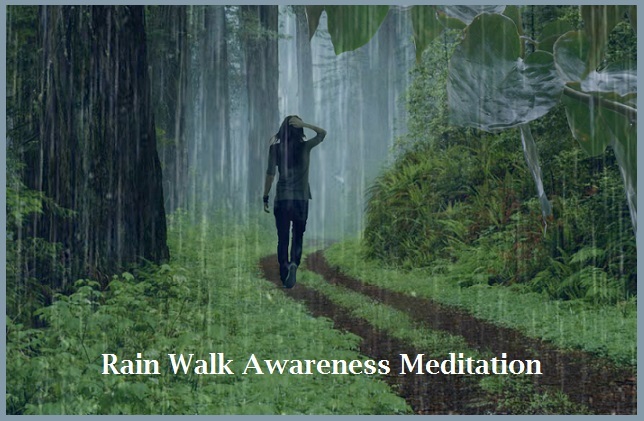 It quickly became one of my favorite walking meditations, which included peace, sound, splashing, and rescuing. 1. I was walking in a manicured park with beautiful old growth fir trees. The heavy rain kept everyone else away. It was very peaceful. 2. I took a deep breath of the pure, clean air, and held it in my lungs for a moment. With the exhale, I started to release any stress, physical pain, or concerns I brought with me. 3. There were mini-lakes forming on the path that allowed my inner child to splash through creating more puddles. 4. I rescued large earthworms stranded on pavement, which took me back to my childhood. I never had a problem picking up a wiggly worm and placing it on soil. 5. Today my awareness: I was blessed walking with nature’s life-sustaining liquid that cleanses and nurtures our wonderful planet. 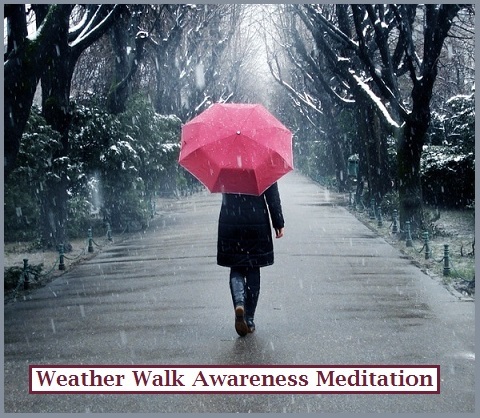 I invite you to take a Weather Walk either in sun, rain, snow or wind. Enjoy the beauty around you and know that during your walk the rest of the world slows down. Nature is Healing!